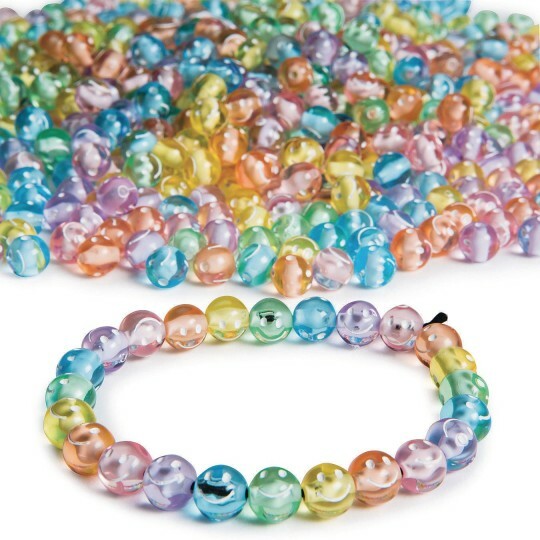 Pretty pastel acrylic beads with white Happy Face details are sure to put a smile on everyone’s face when they create jewelry and collage projects. Pastel mix includes 6 assorted colors: Yellow, Pink, Blue, Orange, Green, and Purple. 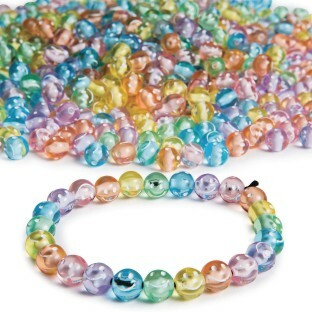 8mm diameter beads with 2mm horizontal stringing hole. 1/2lb bag (approximately 700 pieces).